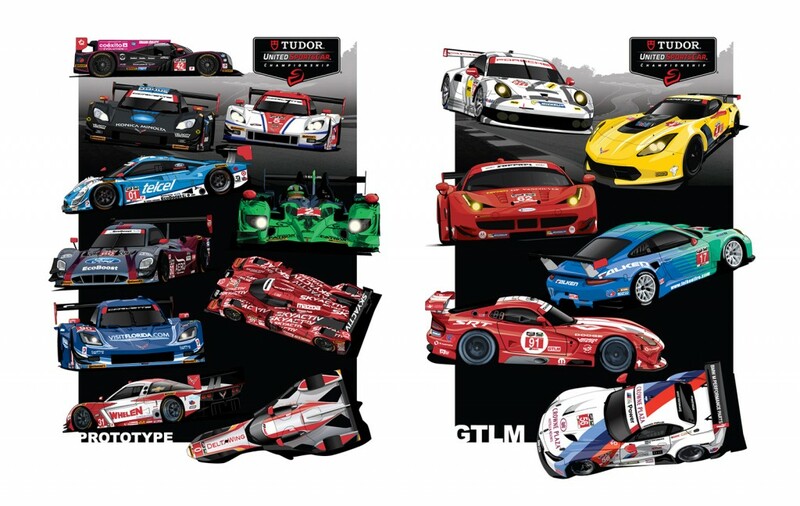 I have been fortunate to work with IMSA for a number of years with the Spotter Guide series and with the dawn of the new TUDOR United Sports Car Championship, they commissioned me to produce a couple of t-shirt designs and merchandise. 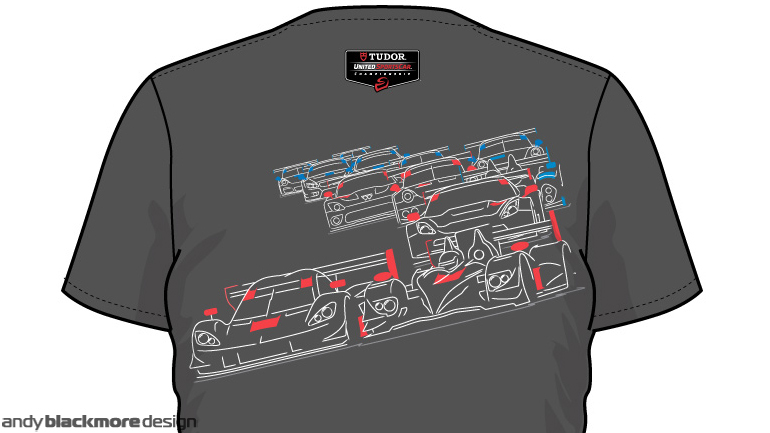 The main piece is this vector illustration depicting Prototype and GTcars, which will appear on the back of t-shirts. 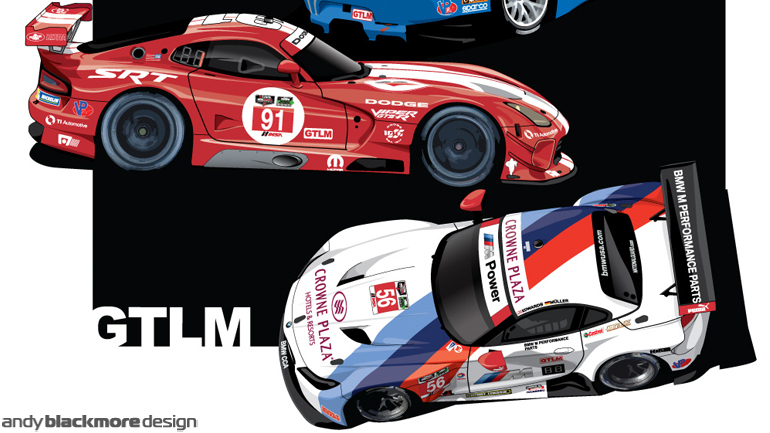 The two illustrations feature one car per a full-time team created in full vector. Quite a time consuming process, deciding what to leave out as its going on a t-shirt, but very enjoyable and its a great challenge. We are looking into a series of designs with this style. 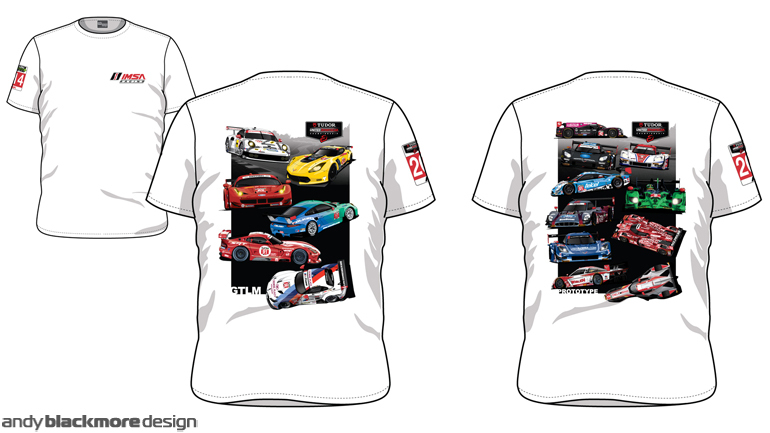 These shirts are hot off the press this weekend, and thanks to our friends at Oak Racing, up to date with the new Oak Ligier HPD on the Prototype Shirt. 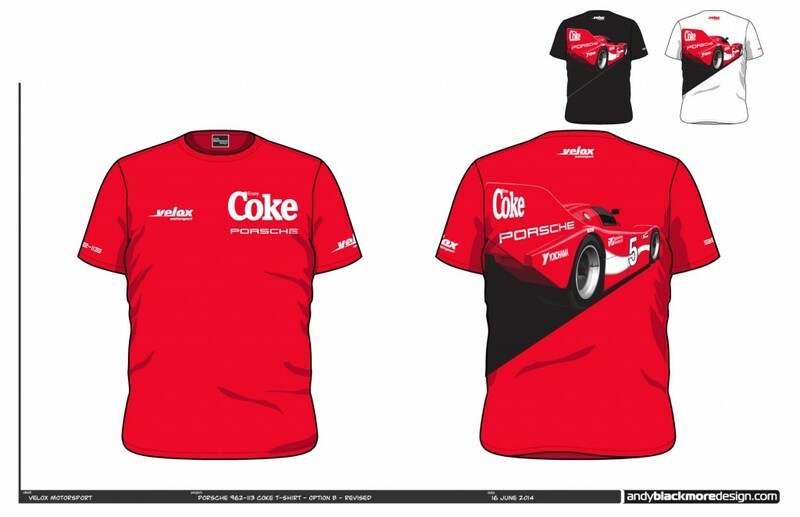 The shirts will be available from the IMSA Merchandising Unit at the final to rounds of the series, Circuit of America and Petit Le Mans. I have also produced a couple of other items, which can be purchased online. This shirt has a graphic showing the various cars and classics as an abstract image. As soon as you show a car or two in a full livery, you end up with Licensing issues and requirements which can take months. The Pro and Pro-Am class colours provide a cool contrast to the shirt and line work. 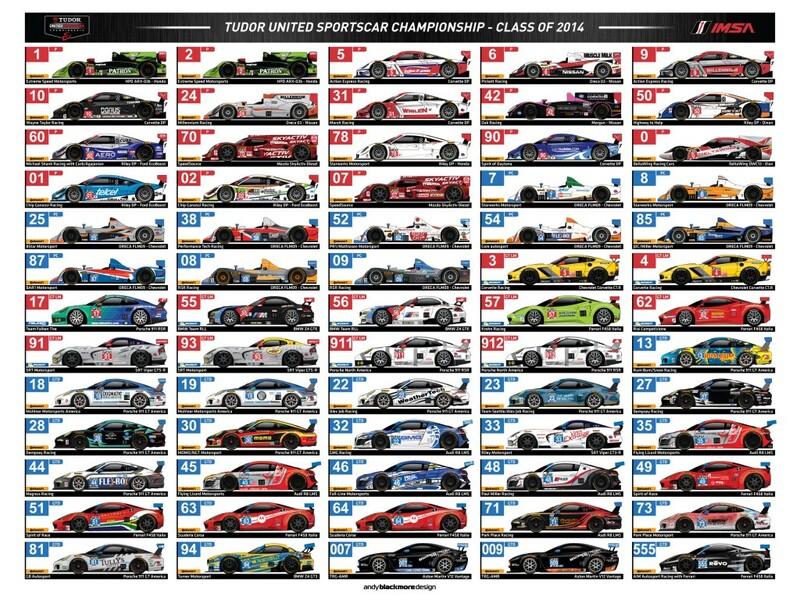 IMSA have also produced a season long Spotter Guide Poster. 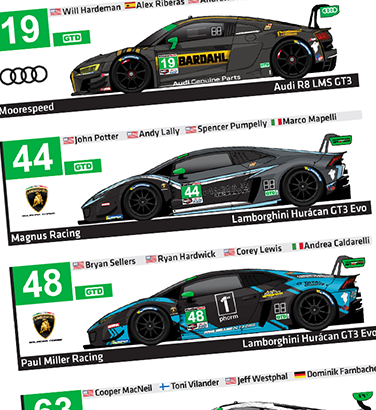 Cars are taken from Sebring, earlier of the year and fully vector, which has ensured a crisp line image on the final poster. This Poster also available at races and now online. A few more graphic t-shirt prints for other clients are currently being printed so stay tuned. Here is a sneak preview of another recent shirt. If you or your sponsor are interested in graphic artwork for clothing, event poster ot other merchandise, please do not hesitate to contact me.